AWARE is proud to introduce Nature Camp programming on Spring Break for the 2018/19 school season. 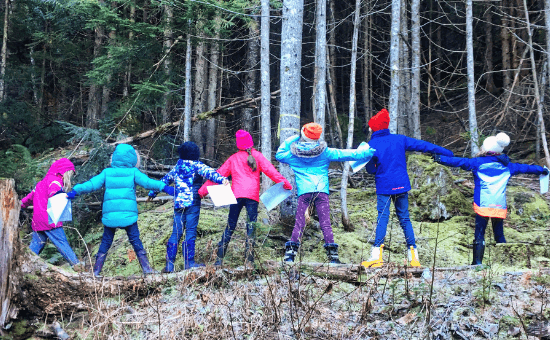 Part of the Whistler Nature Camp series, Spring Break Camp focuses on ages 6–10 years old and strives to teach participants about Whistler’s unique flora and fauna, and foster an understanding of the interconnectedness of all living and non-living things. Based out of Spring Creek Community School, campers will spend the majority of the day outside in the fields, forests and naturalized play areas surrounding the school grounds regardless of weather (so please dress appropriately). We also have an indoor nature classroom to retreat to during extreme weather and as safe storage for lunches and belongings. Nature Camp is $49 a day, or $245 for a 5-day bundle. Space is limited! Secure a spot today.